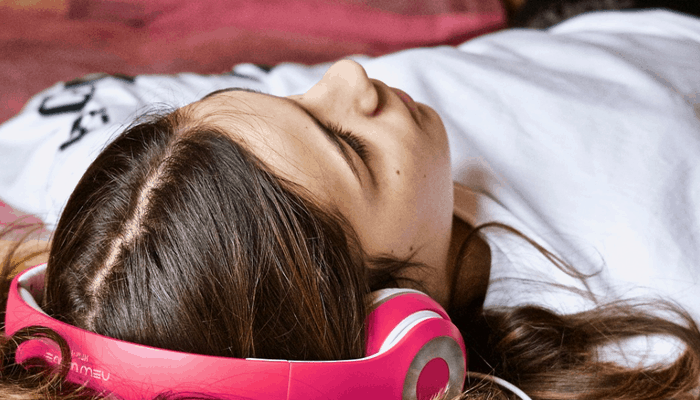 This week we have gathered a few worthy candidates that have made the grade in our eyes for the 5 best headphones for sleeping in 2019. 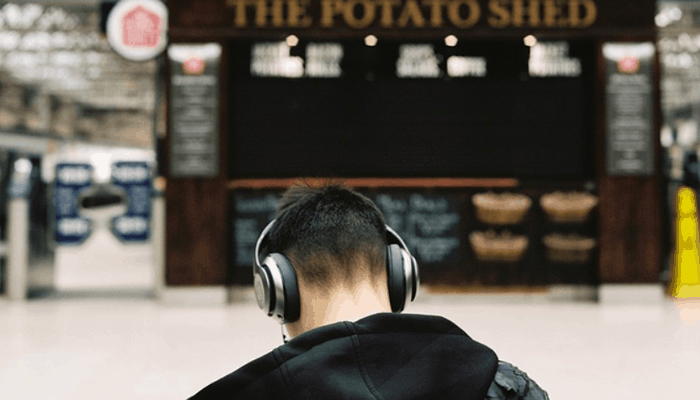 Whether you are planning a long haul flight or simply having a tough time nodding off at home, trying a set of headphones for sleeping can be a useful solution, despite the demand there aren’t too many models on the market to choose from that won’t set you back a fair few dollars, but we have managed to rustle a few more accessible options for your convenience. What To Look For When Buying Headphones For Sleeping? What Are The Benefits Of Sleeping With Headphones In? Are Headphones For Sleeping Comfortable? 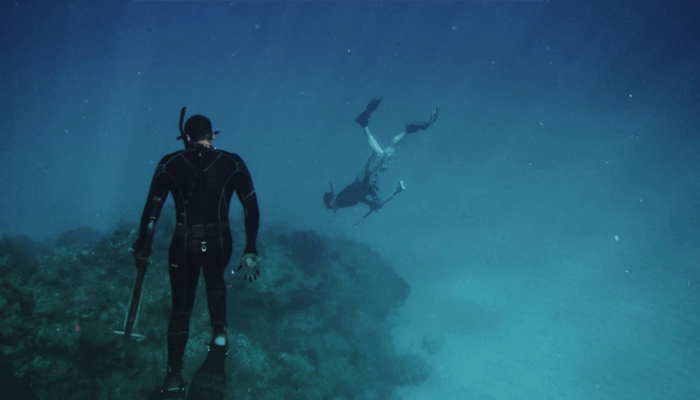 We have provided them for your perusal alongside and informative buyers guide which aims to answer your top FAQ's on the subject to assist you in purchasing a pair yourself. Safe double layer tip with a skirt. 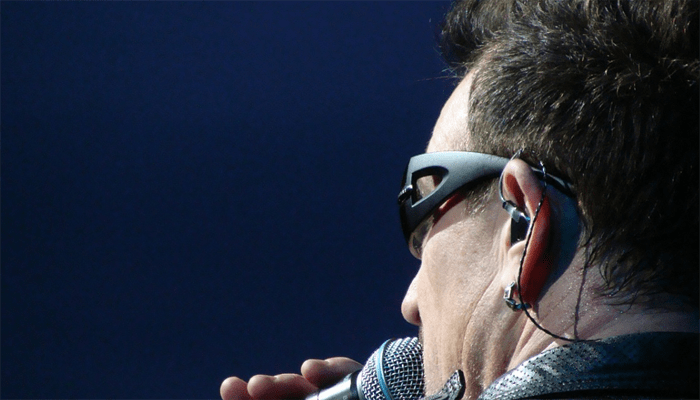 First up we have a low-profile in-ear earbud model. They feature an ergonomically comfortable shape and are designed not to protrude from the ear itself, enabling wearers to lie down and put pressure on the earbuds without causing discomfort or harm. 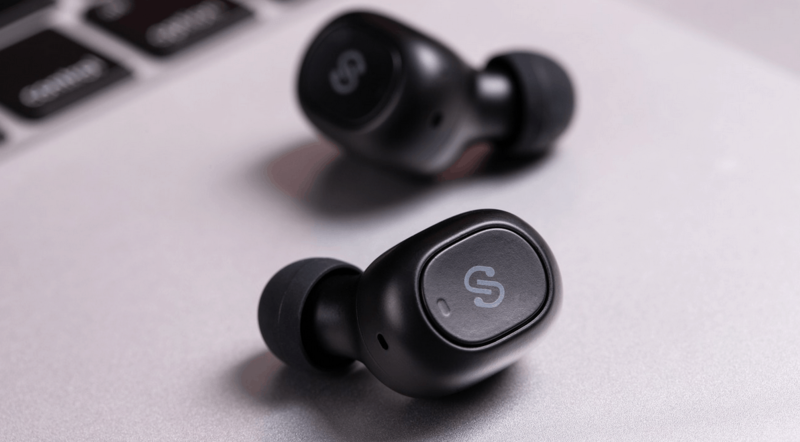 The earbud tips are a double layer, they are formed from high-quality ultra-soft silicone which sits within the ear canal and has a safe lip to ensure they cannot move further inside so that you can literally rest assured. They are passive noise canceling which means they can block out the surrounding environmental sounds like an earplug, and don’t need to be actively playing a sound to reduce what you would normally hear around you. The sound fairly well balances the bass has a good presence but isn’t overbearing which is pretty surprising from a tiny 5mm driver, powerful stuff. They feature a built-in microphone which is handy for hands-free calls and means you can get a little shut-eye in the day time without worrying about missing an important call. They are affordably priced, a little over the 10 dollar mark and come with a small zip-up carry case to keep them in, making them an ideal travel option for taking with you on longer journeys. + Safe double layer tip with a skirt. 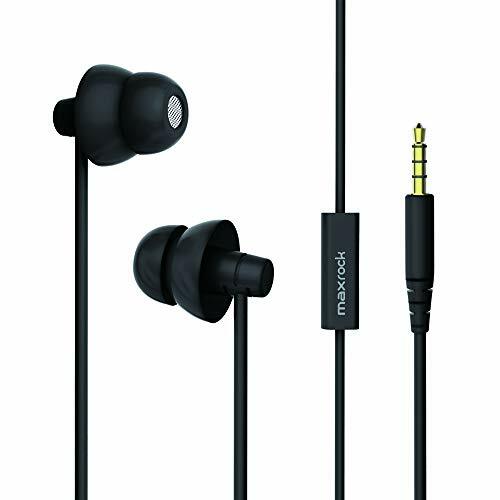 + Traditional ear bud design. 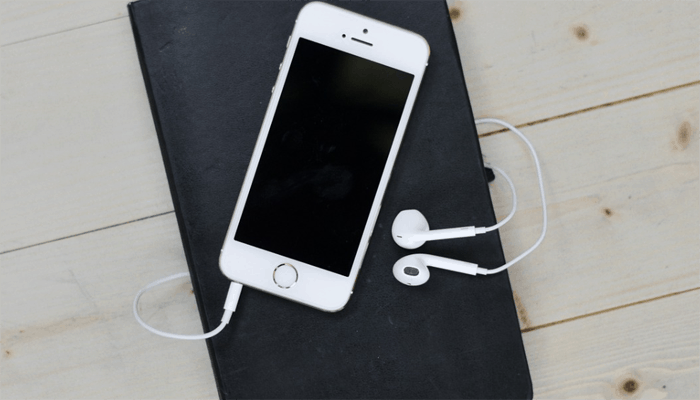 Why We Liked It - They are extremely lightweight and flexible, they drown out your surroundings even without audio played, they are very effective when paired with a white noise app on your mobile or tablet. 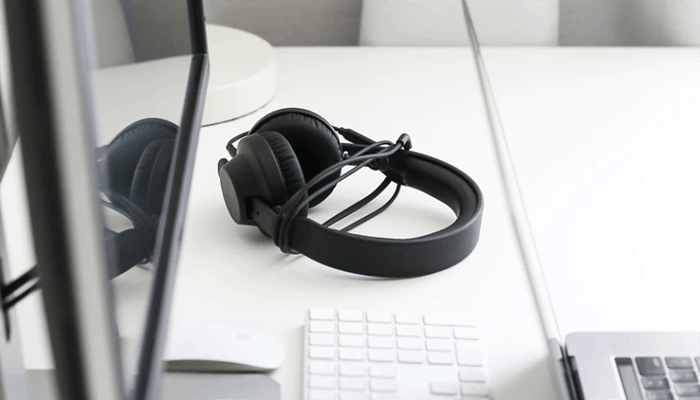 We recently stumbled upon the CozyPhones range with their practical design styles and the possibilities they bring with them that we have actually included 3 in our top 5 list and here’s why. First on our list is their ultra-thin model which is available in a selection of 5 different colors to cater to him and her. They are as the name suggests a very thin and lightweight option. 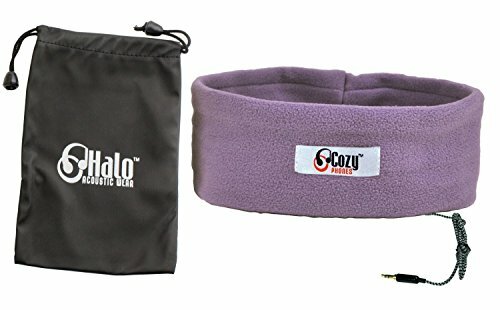 The headband is manufactured from luxuriously soft fleece. Which you can very comfortably wear as a headband and one size is suitable for all. The headband is flexible and durable designed to be twisted and bent and cope with being stretched over the head repetitively on a daily basis. The circuitry harbored within is pretty smart too, not only does it effectively manage the speaker's driver array and crossover the spectrum of sound with great balance, but it utilizes built-in volume limiting technology which keeps all audio well below 90 decibels to keep your ears safe. So if you fall asleep with a playlist on and there is a particularly loud track the volume will auto adjust to protect your ears. They retail with a reasonable price tag and are exceptionally well-made. Why We Liked It - They are a great solution we especially like the noise limitation, it’s a neat feature to keep your ears safe and sound while you sleep. 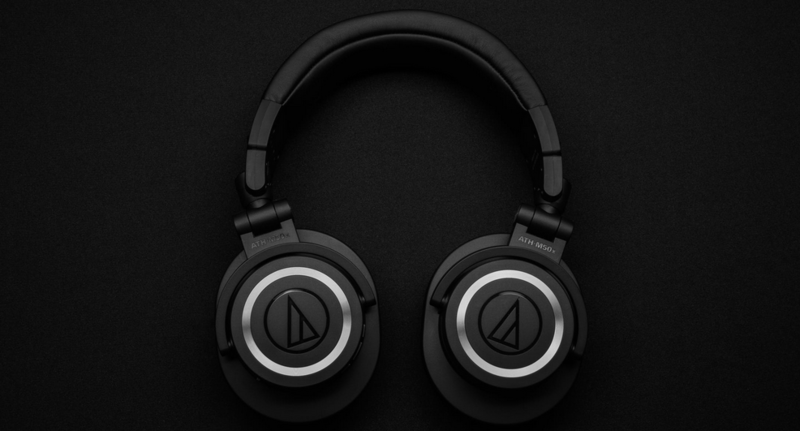 Whilst the initial concepts and features of the this model don’t differ too heavily from the first model by CozyPhones, we have added the next two to help highlight the variety online available to you as for many of our musically inclined readers a set of headphones for sleeping in might be a relatively far-fetched idea. The Contour series is one of the companies newly inspires ranges, they feature a cool mesh lining which makes them far more breathable and skin-friendly. They are better suited to those in a warmer climate and will help prevent sweating in your sleep. They are newly upgraded and feature thinner profile speaker inserts than previous iterations to provide extra level comfort. 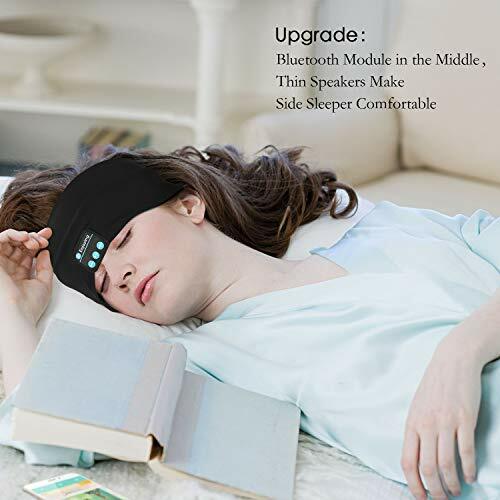 The headband is now contoured to stay in place on the head in a prime listening position and doesn’t slide about as users toss or turn in their sleep. The cord has also been redesigned for better longevity, as it is now branded. They benefit from the same noise limitation technology to keep levels safe and are reasonably priced marginally higher than their starter models. The speakers are removable, so the band is washable. Why We Liked It - Dare we say its a little comfier with its contouring and it keeps the audio in the right place all night long. 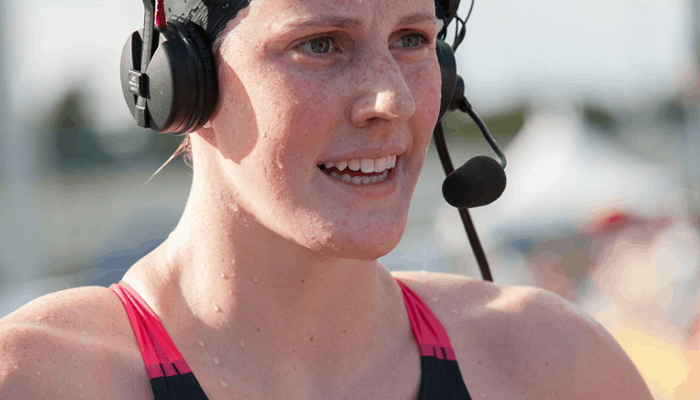 Next we have the Lycra Cool model again for warmer climates, this model has been designed to be a little more multi-purpose suggesting it can be used for outdoor activities as a non-slip sports headphone option. It features a sports lining to allow for some all-important ventilation. They are ultra lightweight and adjustable for a good fit. The outer layer still provides some warmth and so will take the edge off of the chill of the wind on the tips of your ears. They once again have all of the same design aspects we have highlighted in the first 2 pairs such as the noise limitation processing tech and the highly durable braided cord. The sound is clear and well balanced providing good dynamics and nuances in the mix which is great for getting lost in the sound before you nod off. + Sport and sleep use night/day option. + Cool and breathable sports lining. Why We Liked It - Whilst it doesn't feature any massive changes in comparison to the rest of the CozyPhones range other than to its functionality, we were impressed with the manufacturing quality and overall sound, all in all it seems like a versatile product and definitely worth a quick mention. We are handing our fifth and final spot to a Bluetooth model because why not forgo the wires for additional comfort as well as convenience. 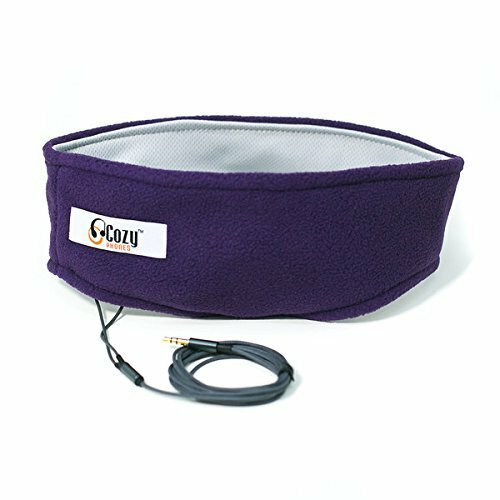 This comfortable headband model has a textile composition (cotton and polyester mix) like the CozyPhones products, though it is a lot wider. 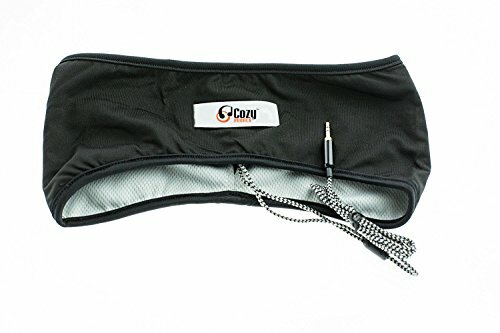 It is also modeled as a sports headband option and the product actually started life as a solution for athletic pursuits before it gained popularity as a superb sleeping option. It is because of its original intended use that bears so many of the necessary characteristics for a good sleeping choice. It is breathable so won't make you overheat, and comfortable because of the fabrics stretchy flexible properties. The wireless is up-to-date and pairs effortlessly. The rechargeable battery capably provides up to 8 hours of playback for every 2.5 hours on charge an ideal period for a good nights kip. All controls are on-board the headband itself and easily accessible. The electronics are kept within a fabric liner separated from the stitching so they can be removed whilst the headband is washed. + Comfortable and breathable fabric. + 8 hours streaming use. 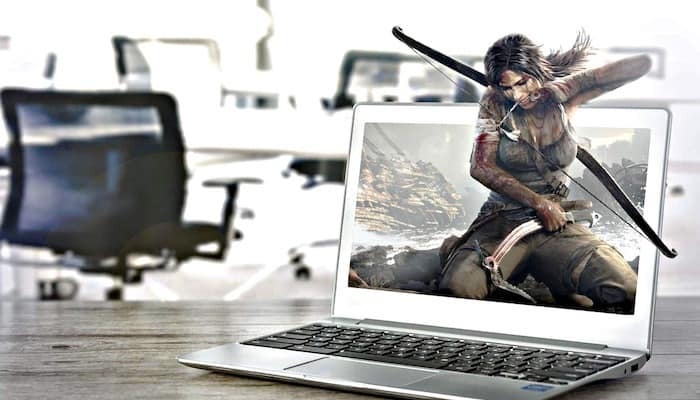 Why We Liked It - It is another fantastic option available on the market that provides great audio and wont break the bank. You need to look for a set which has indeed been specifically designed with sleep in mind, this is especially important in the case of ear-bud designs like the first set we highlighted. If they are not sufficiently safe to lie on you could be at risk of damaging your ears. For headband options you want to check the amount of stretch in it will be comfortable for your head measurements, or that they adjust well. Some models use Velcro to adapt the size accordingly, others just stretch, if you have a particularly large head you may find one size does not fit all quite so comfortably and it is probably isn't a great idea to sleep with something putting pressure on your cranium for several hours. The smaller the depth of the components of the speaker is the better. They should be flattened pads, of course, they need a little room to move to create sound waves in the first place but some of the low profile speaker pads are pretty impressive. There are a few benefits they provide such as canceling out background noise which stimulates your brain and can prevent you from falling asleep quickly whether that is due to living in a very busy built-up area or just your partners beast-like snoring beside you. They can also be used to play soothing white noise, relaxing rain-forest ambiance, or the sounds of under the sea, whatever helps you count the sheep. They can also be used for slightly more awake activities such as guided meditation, hypnosis, yoga, and ASMR activities. They are also, of course, a useful item for some with special needs who find they are overwhelmed by auditory stimuli. They provide a comfortable solution that will stay put if an individual has uncontrollable involuntary movements but enjoys the solace headphones can provide them. We really love the headband style products on the market there are plenty on the market, though some carry a hefty price-tag. They can be worn comfortably and are essentially an additional piece of nightwear, no more invasive than an eye-mask or sleeping cap. They are made from similar fabrics used in traditional pajamas. The speaker drivers within are very low profile you can't really feel that there is anything solid within. The benefits of a sleeping set of headphones speak for themselves and whatever your reason as an individual may be for getting a set you will find that there are a few good items out there in the lower regions to suit your needs. The most important things to consider are the comfort, how well they stay put and whether to go wired or wireless. At the end of the day, they should not be uncomfortable to lie on with all of your weight. You want something that stays in place because people tend to move or turn in their sleep even if it is only a little. If you are worried about cords getting tangled then opt for a wireless model like product number 5. We hope today's reviews and guide have been helpful for those of you considering buying a pair. If you are looking to buy a set for special needs purposes, CozyPhones children range come in a whole variety of bright colorful animal-inspired designs like this one. The CozyPhones brand and products emerged out of necessity after the creator had trouble sleeping.